Situated in Seattle and surrounded by water, mountains and the city, UW Bioengineering is close to Washington’s particular beauty and culture. Seattle’s fresh air and diverse entertainment options are perfect for recharging batteries and fueling personal growth. UW Bioengineering graduates are well positioned for success in Seattle. 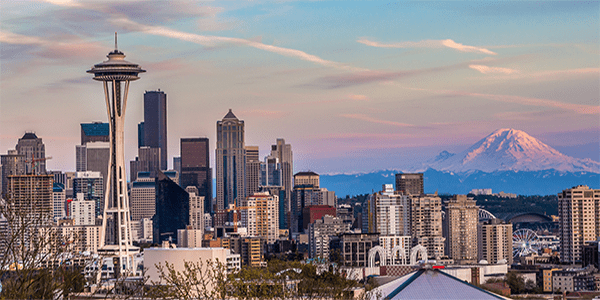 Opportunities in nearby biotechnology and health care industries coupled with a culture that embraces innovation makes Seattle one of the best cities in the nation for graduates to start their careers. Within steps of UW Bioengineering, one can rent a kayak or canoe, bike the Burke-Gilman Trail (a 27-mile trail that runs through campus and along Lake Washington), take in an art show or take a bus downtown to enjoy the local music scene. Warm summers, mild winters and just 36 inches of rain a year. Vibrant live music and entertainment scene, offering shows in a number of historic and beautiful theaters and venues.